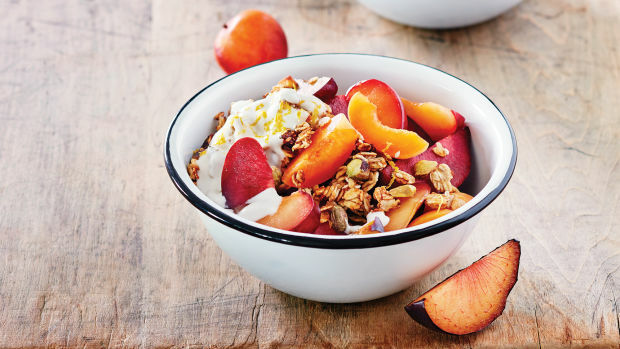 This summer bowl is inspired by the Middle Eastern tradition of mixing sweet fruits with savory foods like tahini. Garnish with a little citrus zest for extra brightness. A creamy ginger and lemongrass–infused dressing makes this bowl a tropical treat. Hemp hearts and toasted unsweetened coconut add a bit of crunch. Red bananas are smaller, sweeter cousins to the big yellow ones we’re all used to, but regular bananas work just as well if you can’t find them.